Acts to catch at Sifa's The O.P.E.N. 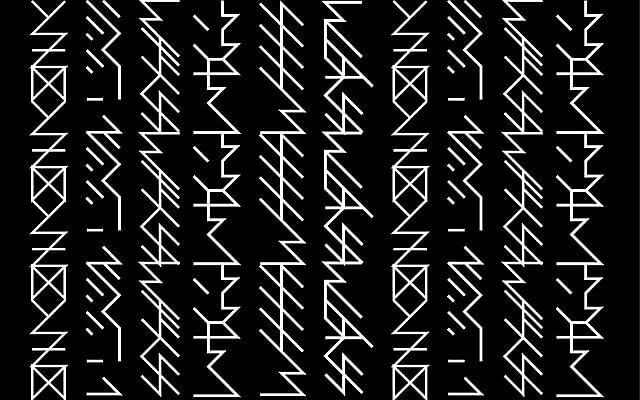 Local collective Syndicate SG is intent on redefining the Singapore club scene. It is not just about rhythmic beats and surreal soundscapes, but has a strong visual element to its work as well. At its upcoming performance at The O.P.E.N., artist Muhammad "SSYSTM" Heider Bin Ismail will be creating images live, to accompany musicians Louis "Intriguant" Quek and Wang "Yllis" Wei Yang. Muhammad, 26, says the images he creates will be based on the Game Of Life, an automated programme created by British mathematician John Horton Conway in 1970. "As the music has parts which are filled with different melodies, sounds and vocals, I will pick parts of each song to react to visually by using colours and patterns created by the game," he adds. He will be pairing images and colours generated by the programme to different points in the music. Both the music and game are otherwise unrelated. 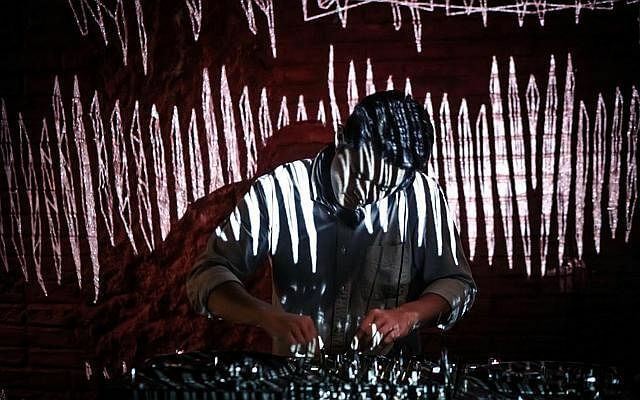 The artist will be accompanying Quek, 27, who describes his music as "a recollection of the past and present sculpted into clouds of textural soundscapes and beats-driven groove". Quek incorporates field recordings into his work and brings a handheld recorder whenever he travels. For the track Chance Of Coins from his debut album Ellipse, some sounds were recorded at a temple in Bangkok, Thailand. "There were bowls surrounding the perimeter of the temple and people would drop a coin into these bowls as they walk around, like how someone would toss coins into a wishing well," he says. "The sounds in the temple filled the entire space and in that moment I whipped out my recorder." Quek will be playing alongside Wang, 29. 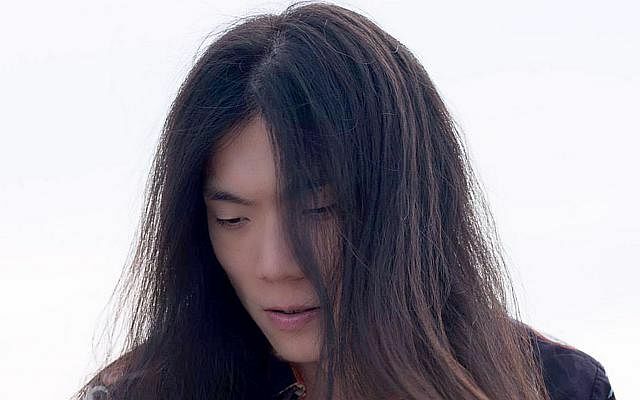 Wang's sound is an electronic blend of hip-hop and post-rock influences, with a futuristic, imaginative slant. He says: "I imagine the world in five to 10 years, I imagine a fictional storyline and what people in this world would be like. Then, I try to write the soundtrack to this movie." American musical actor Gene Kelly, King of Pop Michael Jackson, dance legend Pina Bausch and action star Bruce Lee will all be present in spirit at The Hot One Hundred Choreographers. 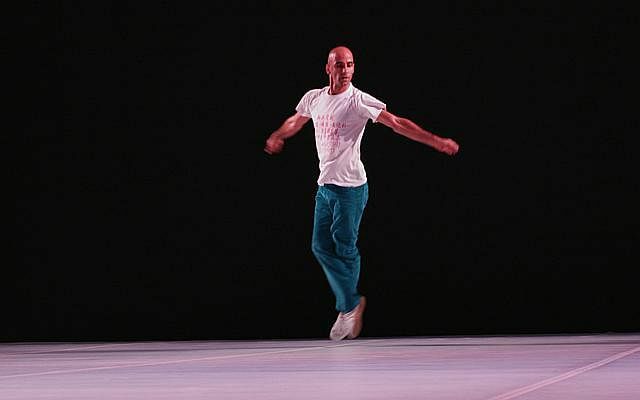 The work by Brazilian dancerchoreographer Cristian Duarte brings together a century of dancers and movement artists who have influenced him over the course of his career and melds them all into an arresting solo performance. "I started to work with it because I was intrigued by so much questioning about dance education and training I was hearing around me. I started questioning myself about my own dance education," he says. "Then, I thought to generate a context where I could look at not only all the dance materials and techniques I am trained in, but also those I wished to have had the training for." He culled the list by looking at dancers whose dances he has "experienced and who informed my dance education, and pushed me to follow dance as my profession". They are a blend of well-known figures in the world of dance and movement, such as Russian ballet dancer Vaslav Nijinsky and prolific choreographer Marius Petipa, as well as others he has met. The other work he will be presenting at The O.P.E.N. is Biomashup, which will be performed by six dancers and one musician on the theremin, a movementcontrolled instrument. "In Biomashup, I was interested in the dancers' archives, their personal collections of dance," he says. The work began as a practice, before evolving into a full-fledged performance. He also chose to focus on the legs as a source of dance material, incorporating anything from daily movements, such as walking, to ballet. He says of the working process: "We were not improvising to select material. Actually, I was asking them not to improvise. I asked that each movement they were delivering should already be it." He would ask them to move all together for an hour non-stop, with this in mind. "My notes and observations were given while they were moving. I would ask them not to stop moving and include my observations and notes while they were doing so... We had both insideexperience notes and after-notes. Both played different roles in the understanding of the making and performing." At first glance, Pushpamala N.'s 2014 photograph The Arrival Of Vasco Da Gama looks like its 1898 namesake painting by Portuguese artist Jose Veloso Salgado. The painting depicts the Portuguese explorer's first contact with India after discovering a direct sea route there from Europe. But take a look again and you will see subtle differences. The carpet is not angled exactly the same, the golden wine jug at the bottomright corner is plain in the picture, but ornately decorated in the painting. And in the photograph, the central figure da Gama, resplendent in a red cloak and royal blue tunic, cuts an oddly feminine figure. That is because da Gama is portrayed by artist Pushpamala herself, disguised with a beard and a feathered velvet hat. "This is what I do in many of my works - I deconstruct the history, image and archetypes of the original," she says. 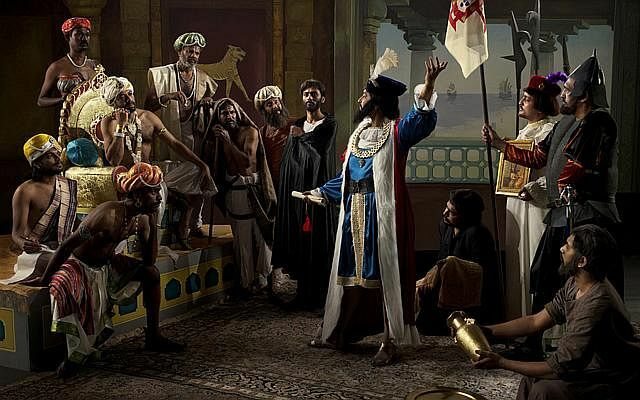 The Bangalore-based artist, 59, explains that while in the painting, da Gama cuts a noble figure, he was in fact unsuccessful at negotiating a trade agreement with the Indian ruler, who was unimpressed by the goods da Gama had brought. "So, this so-called historical painting is actually fantasy and myth," she says. Pushpamala began her career as a sculptor, but in the mid-1990s transitioned to video and photography as her media of choice. "I am very interested in narration and, with photography and video, you can use narration in different ways. It can be very concrete and specific or very conceptual, as opposed to sculpture, which can be a little static." She will be holding an exhibition and a talk at The O.P.E.N. Her take on The Arrival Of Vasco Da Gama will be on display, accompanied by props and costumes which she used in the photograph. Her talk will be on Avega, The Passion, a photo-and-video series in which she explores the archetype of three female characters in the Indian epic Ramayana. Pushpamala says that although many of her works reference history and mythology, there is always a contemporary link. "I take a lot from the past and history because history informs the present. The Ramayana is very popular throughout India and South-east Asia and is also very central to Indian politics today." Seven dance-makers from Japan, seven from the Asia-Pacific and seven mysterious archive boxes filled with artefacts representing key elements of a dance. A handover of those boxes from the Japanese dance-makers to their counterparts in the region will inspire a presentation which is part of Dance Marathon - Open With A Punk Spirit!, a 16-day dance festival within the Singapore International Festival of Arts. Before that, though, Japanese dance critic Muto Daisuke and dance researcher Nanako Nakajima will be here as part of The O.P.E.N. Daisuke will deliver a talk about the historical influences and principles which inform the work of the seven Japanese dancers, whose careers he has been following for more than two decades. He says that contemporary dance in Japan has developed since the 1990s, "largely stimulated by continual exposure to European productions by those such as Pina Bausch, William Forsythe or Rosas, and it reached its creative phase around 2000". "The characteristics of the works in this period might be summarised as intimacy with the audience or humanscale corporeality, rather than huge spectacular stage presentation... I have once defined it as 'anti-spectacle' aesthetics, interestingly resembling the American avant-garde in 1960s." He says that in Japan, dance-makers emerged from different backgrounds such as ballet, modern dance, butoh, theatre and visual arts, and adds that Japanese contemporary dance differs greatly from those from other countries in Asia. "The largest difference is the relationship with 'traditional' culture. After butoh, the Japanese dance scene has been obsessively remote from that element. Compared with South Korea, India and Indonesia, for instance, this tendency of Japanese dance is obvious." As for the seven boxes, Daisuke says he knows as much about them as the audience - in other words, nothing at all. The Japanese choregraphers were asked by the festival organisers to put in the boxes anything that inspired their work, which could in turn inspire another Asian choreographer in a different way. "No one knows what will happen among individuals and cultures. I'm so thrilled," says Daisuke. After the 2011 Great East Japan earthquake and subsequent tsunami, the World Bank estimated that the economic cost of the destruction totalled US$235 billion, the most of any natural disaster. But the toll of the catastrophe was a lot more than monetary. Families and lives were extinguished in an instant, buildings were reduced to rubble and a nuclear meltdown has rendered the area around the Fukushima power plant uninhabitable for years to come. On the barren ground of disaster, though, seeds of hope have been sown. One such seedling is a project by Japanese Pritzker prize-winning architect Toyo Ito, titled Home-For-All. The project consists of communal huts for people who have been affected by the disaster to gather and interact with one another in. As of February, a dozen such homes have been constructed and three more are in the pipeline. Festival director Ong Keng Sen says that after a trip to Japan, post-tsunami, he "realised that all these structures, these tall buildings, these manmade things are very easily destroyed". "The empire that is all around us, the consumerism, are so easily broken. What remains after is a sort of ecological sustainability, an equilibrium with resources in nature. 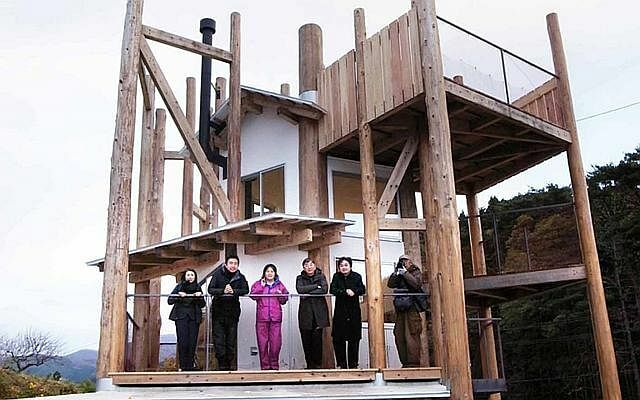 In that sort of a world, the architect is extremely important, to create homes where we can live in and interact again. It's about what happens after a national crisis." Ito, 73, will be delivering the keynote address of The O.P.E.N., titled The Role Of Tomorrow's Architects. He will be speaking about the possibilities and promises of architecture. In a world where homes are built primarily for the individual, he will share about the process, joys and challenges he faced in designing a communal platform for interaction.